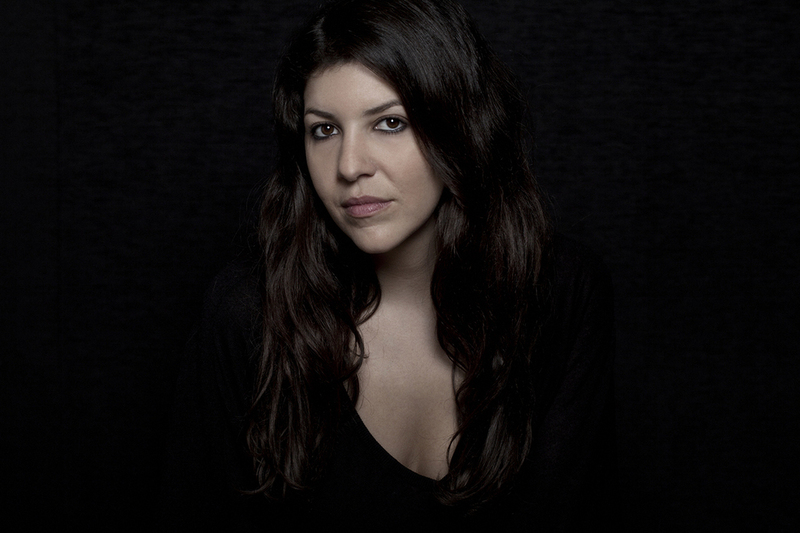 Leila Alaoui. Photo: Art Factum Gallery, Beirut. LEILA ALAOUI’S BEST-KNOWN WORK is a series of photographs called “The Moroccans” (2010–14). Each picture shows a man or woman wildly dressed, dramatically lit, and set against the same black background, eyes locked on the camera. As portraits go, the images in “The Moroccans” are intense. Alaoui’s subjects stare down the lens with a look of playful or defiant challenge. They rarely smile but always sparkle—whether in the confidence of their pose, the glint in their eyes, or their dazzling array of costumes and accoutrements. Taken together, the series offers a jumble of facts and attitudes to counteract some of the more orientalist fantasies and colonial fictions that have plagued the history of image making in Morocco for well over a hundred years. Alaoui was born in Paris and raised in Marrakech, where her family lived in a grand old Art Deco house in the heart of the Palmeraie. She studied photography and anthropology in New York. She worked on films by Spike Lee and Shirin Neshat. According to those who loved her, Alaoui never set herself above the most menial tasks. She was as happy to carry a pile of cables and a light-box as she was to entertain a crowd of restless children enlisted as extras. When the time came for Alaoui to focus on her own work, she returned to Morocco and traveled around the country with a mobile portrait studio. In rural villages, on market days, she would set up her equipment and wait. “The Moroccans” was inspired by Robert Frank’s “The Americans,” as well as by the work of Richard Avedon and Irving Penn. It shares certain affinities with the studio portraiture of Seydou Keïta and Malick Sidibé, who passed away last week. Had she lived a little longer, Alaoui had hoped to spend time in the archives of the Arab Image Foundation, researching links from North and West Africa to the rest of the Arab world. In the history of art, and photography in particular, there are ample examples of work made on assignment or enabled by funding structures that have long been forgotten or surpassed by the images themselves. “The Americans” is one, made with a grant from the Guggenheim Foundation. Walker Evans’s collaboration with James Agee is another, a commission from Fortune magazine that fell apart and yielded Let Us Now Praise Famous Men instead. The Farm Security Administration’s photography program is itself another still. Those projects are now widely appreciated. Less attention has been paid to the costs of working this way, inherited from an earlier era but grossly altered in our own. It has become so familiar for any number of artists, writers, and independent curators today to live project to project, forever on assignment, piecing together their best work on the side while traveling for campaigns and organizations that depend upon freelance labor but do not necessarily lend institutional protection to the freelancers themselves. For Alaoui, it was normal. She did editorial work for the New York Times and Vogue. She used funding from the EU and the Danish Refugee Council to create series such as “No Pasara,” about young men stuck in Morocco, and “Natreen,” about families displaced in the Syrian civil war. It was normal until it was deadly. In January, Alaoui was killed in Burkina Faso while on assignment for Amnesty International, taking portraits of young women for a human rights campaign. A group affiliated with Al-Qaeda attacked a hotel known to be popular with foreigners in the capital Ouagadougou. Alaoui was sitting in a car parked outside. Thirty people lost their lives. Alaoui was shot multiple times and severely wounded. She died of a heart attack three days later. I met Alaoui when she moved to Beirut in 2013 with her boyfriend (later her fiancé) Nabil Canaan. They had just opened an art space called Station in a disused factory that belonged to Canaan’s grandfather. It was perfectly placed between the Beirut Art Center and Ashkal Alwan, two of the city’s most active and respected cultural hubs, all of them now overshadowed by the cranes and scaffolding of the area’s baffling gentrification. Station was not an art space in the strictest sense. Alaoui and Canaan organized exhibitions, but they also threw parties, offered classes, held markets, and hosted DJs. I went to hear the Syrian musician Hello Psychaleppo play there two weeks before my first daughter was born, and the low-slung roof had been totally transformed into a booming club. For the space, the city, and the future, their enthusiasm was infectious. You felt it. They had come to Beirut to work. “She had an incredible energy to produce,” Canaan says. They had also hoped to marry and start a family, to live in a neutral city and settle into a place where Alaoui felt safest. I didn’t know either of them well. I would see Alaoui around and I was slowy learning more about her work. One does not habitually consider the consistency or coherence of so young an artist’s oeuvre. One imagines there are decades to come. Alaoui was killed at the age of thirty-three. Her death was horrific, seemingly so random, and a tremendous shock to anyone who knew her at all. Sadder still is the fact that her passing has made it possible to see the completeness of her work, how serious she was, and her commitment to using the mechanisms of multiple worlds—contemporary art, photojournalism, NGOs and development agencies—to create one major, long-term, multifaceted project about the plight of marginalized people, whether the Sub-Saharan migrants who pass through Morocco to be smuggled across the sea and into Europe, or the children of such migrants, who are now consigned to a life of hardship, low-wage labor, and alienation in France. The beginning, where her subjects were from, was in the former colonies of Africa. It’s now anyone’s guess where the work in Burkina Faso may have gone. There’s a heartbreakingly cheerful post on Alaoui’s Facebook page, where she wrote, on January 11, “Off to Burkina Faso!” followed by David Bowie’s video for “Let’s Dance” and a note, typically generous, celebrating a colleague’s work. To the outpouring of sorrows that followed, someone has added another video, shot in 2010, of Alaoui being dressed in a whirl of textiles and accessories in the middle of a Maasai market in Kenya. Her laugh and smile electrify the scene around her. “Losing her was very harsh,” says Joy Mardini, whose Beirut gallery, Art Factum, began representing Alaoui in 2012. “She was very respected as a photographer. But she is very remembered as a human being. She had a huge impact on people. You would meet her for an hour and all of the sudden you would care for her. She was someone you couldn’t forget.” She was also incredibly consistent, Mardini adds, “in the relationship between who she was and the work she did. She was attachante,” one of two French terms—the other being artiste engagé—that come up again and again in descriptions of Alaoui but translate poorly to English (“endearing” and “committed to a cause” don’t quite capture the full effect). The photographer and filmmaker Fouad Elkoury, who adored her, was introduced to Alaoui when they were in Buenos Aires for a show. She snuck up behind him, covered his eyes with her hands, and told him she loved his work. He had no idea who she was; they had never met. From then on, whenever they were in the same city, they saw each other every day, meeting to walk and talk and walk some more. Elkoury affirms that Alaoui didn’t consider herself an artist per se. She quietly but firmly believed that her work could make a difference in the lives of people who suffered, and she insisted on capturing their dignity over their victimhood, their camaraderie over their isolation, their happiness over their misery. Elkoury is in many ways a reluctant father figure to a generation of photographers in Beirut and beyond. They all belong to a history of photography in the Middle East and North Africa that is extremely interesting but underwritten and poorly exposed. Alaoui was young. She was only just planning her first solo exhibition, scheduled for Art Factum later this year. “The Moroccans” was on view at the Maison Européenne de la Photographie in Paris when she died. But for all its popularity, only a fraction of the full series was ever shown. In March, Alaoui’s work was featured in shows at a Dubai gallery and a French monastery. She is part of the next Dakar Biennale, opening in May. It was early days. After her death, the organizers of the Marrakech Biennale and Geneva’s International Film Festival and Forum on Human Rights dedicated their events to Alaoui, firm, heartfelt gestures both. But beyond that, the project she had been working on in the Renault factory, and the greater puzzle into which all her work fit, should have been a new chapter in the region’s photographic history. With some fortitude and patience on the part of the foundation established this month in her name, perhaps it still could be—a work cruelly unfinished but defiantly present. Kaelen Wilson-Goldie is a writer based in Beirut.